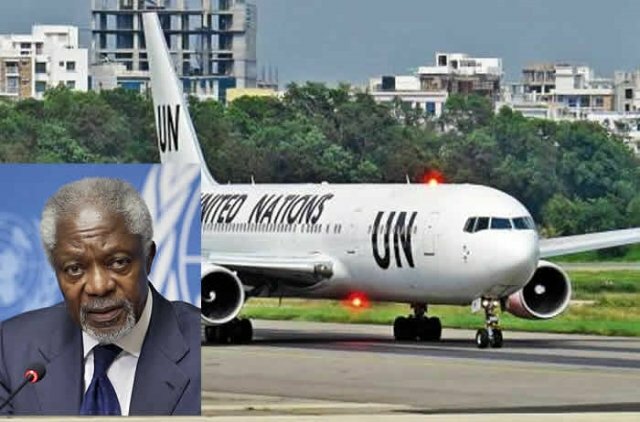 The remains of former United Nations Secretary-General, Kofi Annan, will arrive in Ghana on Monday, for the start of the three-day state funeral organised by the government of Ghana. The Kofi Annan Funeral Committee in consultation with the family of the Former UN Secretary-General released details of his burial in Accra, reports Citinewsroom. Kofi Annan, who was the 7th Secretary General of the UN, died in Switzerland on the 18th August 2018. Addressing the press in Accra, Information Minister-designate, Kojo Oppong-Nkrumah, said the body of the former UN boss will arrive on September 10 accompanied by his widow Nane Maria Annan, children, and some officials from the UN. The remains will be received by the Ghana Armed forces and the President of the Republic, Nana Akufo-Addo before it is moved to the Accra International Conference Centre. Annan’s body will be laid to rest on Thursday.